Nudestix isn’t a brand that I’ve really explored. I love their packaging and the general aesthetic of the brand but it hasn’t ever tempted me enough to feel as though “I NEED it”. I feel as though most people who wear makeup and work long hours want to look nice but don’t want to deal with the tediousness of lipliners and precise application (at least I don’t). It comes as a no-brainer that if you could apply a product that was hydrating, stayed, had good colour transfer, and was easy to apply you’d wear it right? 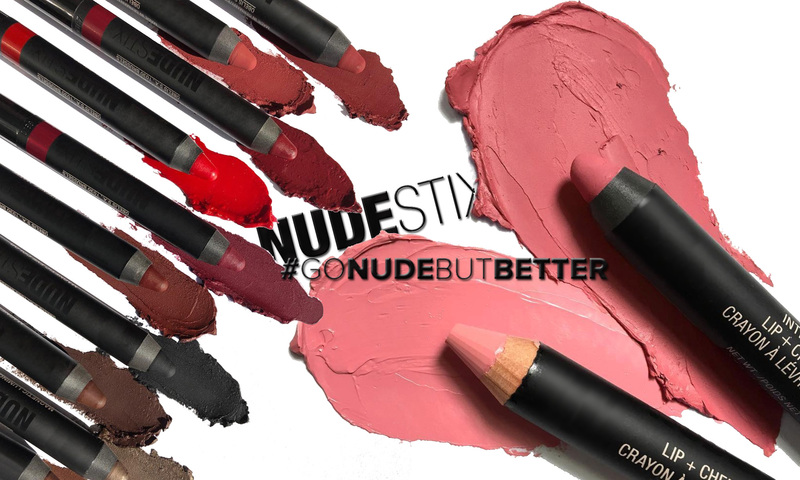 Nudestix. I’m not crazy about wearing the same product all over my face, lip to cheek to eyes. It seems unsanitary and just makes me think of hand foot mouth disease (weird thought process I know). I do love a monochromatic look, a very mauve look, coral or pink it’s so harmonious and it gives me the warm fuzzies. When I purchased this product I think I was looking for something easy I could toss in my purse if I needed something quick to up my makeup game sans mirror. 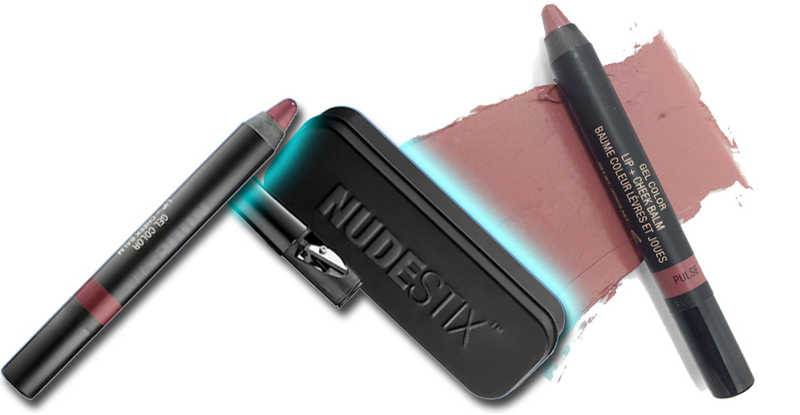 Nudestix Gel Color Lip + Cheek Balm in Pulse is a quick face fix and it even comes with a built-in sharpener (seriously brilliant!) It’s become one of my purse staples because it’s SO easy. Hydrating colour on the go, love it! The line was founded by a 15-yeard-old, an 18-year-old, funded and assisted by their parents. I couldn’t resist shopping their amazing cyber sale, did you pick anything up? #NoBareLipsNovember Day Five: Kiss Kiss Bang BANG!